Dark and Lovely debuted their latest innovation, the "Damage Slayer" system, with the help of their new brand ambassador, LeToya Luckett-Walker. 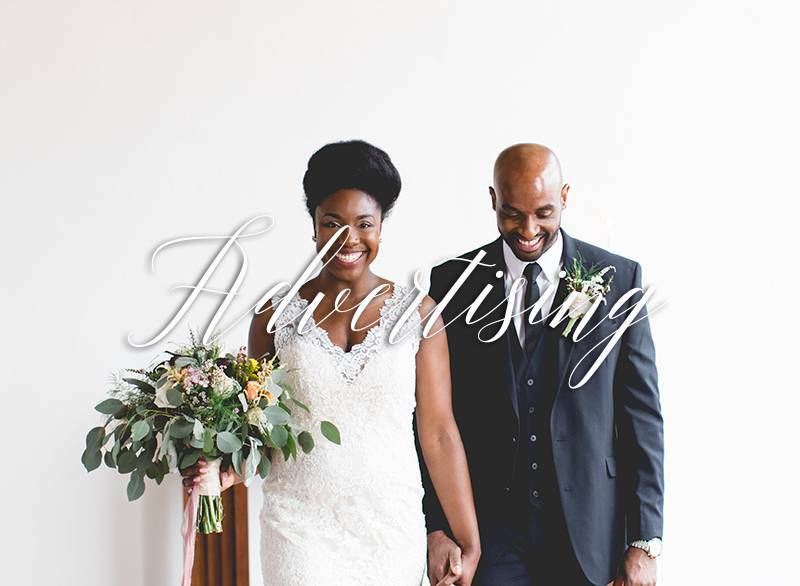 With a fun-filled night that included partying and previewing Dark and Lovely products at Atlanta's own Revel Lounge, Black Bride Magazine caught up with newly married R&B sensation. LeToya's southern upbringing and hospitality were evident as soon as we sat down. Immediately it felt as if we were old friends picking-up on a conversation we left off. Being a brand ambassador of such an esteemed brand is exciting for her, as well as a bit familiar. LeToya's grandfather was a hair stylist, so carrying on the hair care tradition is very important to her family's legacy. LeToya spoke with us about the Damage Slayer system. This line was designed as Dark and Lovely's first salon-grade system that repairs damaged hair by strengthening weak hair bonds. Whether your tresses are relaxed, transitioning, color treated or natural, this restorative treatment goes down deep to ensure your hair looks its best. Users who applied the complete system to their manes saw 96 percent less breakage in just six uses! LeToya is no stranger to experimenting with her hair. Being an entertainer, she's switched it up on us a few times -- from the long natural brown locks in her early beginnings to a sporty red bob a few years ago, and her current short textured cut -- which perfectly frames her face. She's also played with blonde hair (and we know how damaging hair lightening can be), which is why Dark and Lovely's powerful 5-step system is a favorite of hers. The Damage Slayer line is a lifesaver because it moisturizes and protects hair against processing and heat styling. Step 1: Damage Slayer Pre-Treatment - "The Rescuer"
The Damage Slayer Pre-Treatment is the first step in transforming damaged hair. It penetrates the core of your strands to nourish and protect hair from the root. Repair your hair from the inside out and protect against "seven common hair damage" factors that range from physical, chemical, environmental and nutrition. Step 2: Damage Slayer Shampoo - "The Restorer"
Next, use the Damage Slayer Shampoo to thoroughly cleanse the hair and scalp. The shampoo removes product buildup and other impurities, but does so without harsh stripping or drying. Step 3: Damage Slayer Conditioner - "The Strengthener"
The Damage Slayer Conditioner delivers proven hair hydration that quenches and fortifies delicate manes to perfection. Step 4: Damage Slayer Leave-In Spray with Lotus Flower - "The Protector"
Get shine that seals in moisture with the Damage Slayer Leave-In Conditioner Spray. It's enhanced with lotus flower essence to revitalize dry hair and prevent future damage. Step 5: Damage Slayer Steam Conditioning Mask with Castor Oil - "The Hydrator"
Supercharge your hair with moisture and say goodbye to dull hair days with the Damage Slayer Steam Conditioning Hair Mask, which softens and hydrates locks like no other. Along with the Damage Slayer system, Dark and Lovely gave us a sneak peek at their new Go Intense! Color Sprays, which is essentially "make-up for hair." This innovation differs from other temporary hair colors as it's the first ultra-pigmented color spray that pops on dark hair. The colors offered include: Gold Rush, Rose Gold, Bluetricity, Mint Condition, Pretty in Pink, Bombshell Blue, Lucky Lavender and Silver Lining. The preview included demonstrations on how to apply the product, and the many color combinations that could be created. The day party hosted by Cynthia Bailey included an interactive photobooth, signature cocktails, a DJ and plenty of swag bags. Various celebrities and reality TV stars were spotted like recording artist Tiffany Evans and Kesha Norman. After exploring all of Dark and Lovely's new products, we had a moment to sit down with LeToya Luckett to see what she's been working on and to congratulate her on recent marriage. She was in town filming for the OWN Network's original series "Greenleaf" and had to leave shortly thereafter to Houston for the next performance of "Set it Off the Stage Play." Black Bride: Of course, we have to ask if there's any new music on the way? LeToya Luckett: Actually, I put an album out last year called "Back 2 Life," so I might be releasing another single for that soon. BB: Will you add any new tracks to that project? LL: You know what? The label and I are discussing it, so we'll see. BB: Of your entire catalogue, what are your three favorite songs? LL: Ooh! Regret is my top. Regret featuring my brother Ludacris. Torn will always be in there. I would say, I'm ready from my latest album called "I'm Ready", It's mine and my husbands favorite. I just love the groove of it, I love it. It makes me feel good, I get happy every time I turn it on. It's definitely one of my favorites. BB: You are now performing in Je'Caryous Johnsons's; Set it Off Live on Stage. LL: Yes, we're coming to a city near you! We have a great cast, Da Brat, myself, Kyla Pratt, and Demetria McKinney. A lot of people are probably scared to see it because they don't want us to mess it up. That's an iconic movie, one of my all-time favorites, which is why I was so excited to become a part of the cast. But I will tell you, Je'Caryous did a great job of bringing it to the stage. BB: Now were you looking to transition into stage plays, because of course we know you've been acting? LL: Let me tell you something, here's the danger but the great thing about speaking something into existence. I had just said to my husband, "I think I want to do a play. I feel like it would help to grow me as an artist, as an actress, in so many ways." I got the call maybe that next Tuesday. Say it out loud folks! Or watch what you say, one of the two, pick it! BB: So of the two, live audience, or film, which would you prefer? LL: Both! I love, as far as performing live, the audience being right there and I love that it challenges me to be, it's not to say perfect in that moment because you can't be perfect, but at the same time you are like authentically walking in this character, and you have that one chance to get it right. BB: Do you find yourself ad-libbing and improving a little more? LL: Oh yeah, we have fun up there! We don't stray too far from the script but we definitely have fun. BB: The Dionne Warwick Bio-pic, when is that coming out? Do we have a date yet? LL: We do not have a date yet. But stay tuned, you can definitely follow me on social media @letoyaluckett to find out. Hey, you guys will be the first to know! BB: How was it working with a living legend? LL: Awesome. She's a living legend, and she don't play. And I love her attitude, and she's like "Oh, we're going to get this right", and I'm like 'Yes we are Ms. Warwick"! BB: I've heard that you've re-recorded music? LL: Well yes, she made me before I got the role, she made me go in the studio and re-record one of her records. For her ears only. BB: So it wasn't for the film? LL: No, we had to go back and do what we call a key. Kind of like a key finding, where we go through and find the perfect key or the ones that would better match my voice for the film. I went through that whole process with her and I was terrified. I sure was. And then I was sitting there going, "Lady, how did you hit all of these notes? There was no auto-tune back then, there was no let me go back and fix it. It was being spot on. And that's why she's an icon. BB: Will we hear it? LL: Yes, she's making sure that I sing every song in the film. I can't wait to get into production for that. BB: Your favorite song associated with the film? LL: Walk on By, easy. BB: You are a newlywed, how did the two of you meet? LL: I am! (shows wedding ring) It was strange. I was actually at a wedding and a mutual friend approached me. We had been talking throughout the wedding weekend and I think as she got to know me, she said; "I might want to introduce you to my boyfriend's brother". I thought that was kind of strange, so I said' "Hmmm, No! Actually not, and I have a feeling you have the cute brother, normally there's only one cute brother in the family, so don't give me the strange weirdo, I don't want to say middle child because I know a few middle children and they're awesome, but I said I don't know how that's going to work for me." And she said, no he's a great guy; just a man of God and after talking to you I think you guys would be a great match. So I said, well show me a picture, and she did, and I said Oooh!" She said do you mind if I give him your information? I said, that's fine, but don't tell him my name and don't show him a picture of me. So for a month, he didn't know what I looked, like, he didn't know my full name, he didn't know what I did and we just talked on the phone. And really got to know each other instead of having that physical thing first. BB: I bet that friend has the title of God-Mother on lock? LL: That's where it gets crazy, because on the show when he said, "You're gonna meet".. as I'm sitting there crying my eyes out saying; "I'm just over love, I just don't want to do it"; he says; "The funny thing is, you're gonna meet your husband and you're going to marry him within this year." I said, no I'm not and he said, you just watch! And I'd be gosh darned, if I wasn't sitting watching the show when it aired with my husband! How Sway?? LL: I am! I have a daughter in love! She's so beautiful, I love Madison! BB: How was that transition? LL: It was scary for me because you take on the responsibility of a whole human, which I hadn't done before. And I feel like you're even more careful, because you're her mother in love, so you have to watch what you say, you have to make sure that you approach it with care, and with ease, and don't try to force her into this new thing. She's a child, and I have so much respect for the way her father and mother handled everything. I applaud both of them. BB: How old is she? LL: She's 6 going on 27. BB: Do you see her following in your footsteps? LL: Madison Walker has a mind and a path of her own! BB: Will she be a superstar? LL: Yes! Very much so. She's still dealing with the, when I meet new people, who are you? Which is crazy because she didn't do that with me. I let her come to me, and the next thing you know, she's like; " hmmm, I got my nails done", and I said, look at those nails! By the end of the day she was around my neck. But I had to approach it lightly. Now we're working on getting her familiar with people, not to say that she isn't but she has this thing, it's kind of like a protective thing. But give her 10 minutes, and she's performing, singing, acting, all of it. She makes up her own songs, she knows how to change her voice, there are dance moves. She puts on talent shows for us. BB: Do you have any plans on expanding the family? LL: Absolutely, so prayers up! 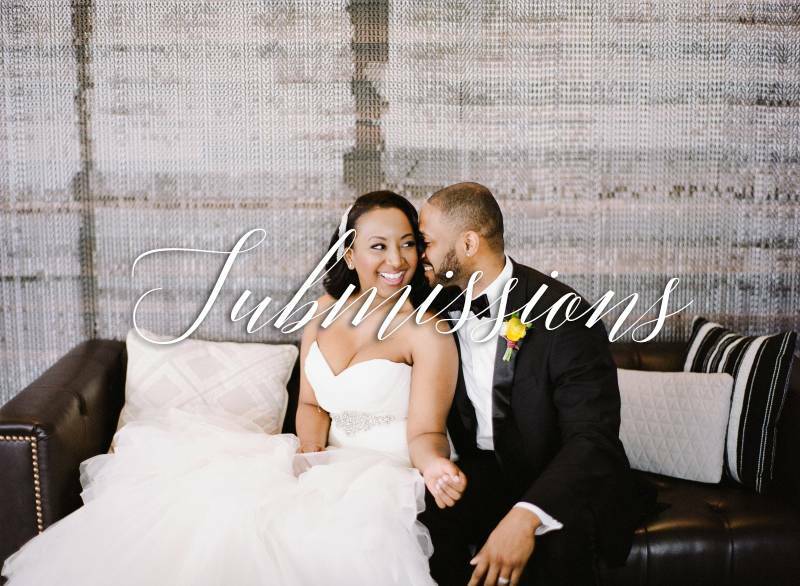 Thank you for sitting down with Black Bride Magazine, and congratulations again on everything!